Lime Cordiale emanates chilled out indie pop at its absolute best. 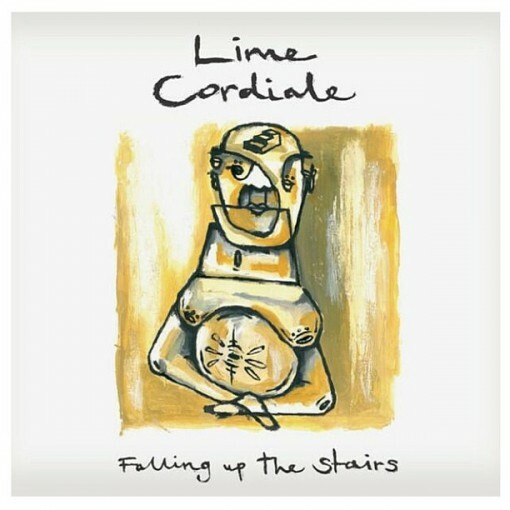 If you haven’t heard of Lime Cordiale yet, it’s probably because these kids are still on the way up, but I suspect you will be hearing a lot more of them in the future. Lets get the introduction out-of-the-way anyway just to be on the safe side: Lime Cordiale are a lax indie five piece hailing from Sydney’s Northern Beaches. You can definitely tell these guys are from the Northern Beaches as it wouldn’t be a massive leap to assume that surf culture informs much of their music making. To best describe the Lime Cordiale sound, you’d need a dash of the Cat Empire, a bit of Brit-Indie pop, and a lot of 70’s Californian rock – sounds reminiscent on their recent EP release ‘Falling Up the Stairs.’ When I first heard these guys live, I knew they were on to something that, to put it simply, just worked. They have a distinctive enough sound to set themselves apart from the rest and catchy enough tunes to get a crowd going. That’s why when I first heard this EP, I was pleasantly surprised that they had captured exactly that in the studio process. Essentially, this EP is just one catchy, foot-tapping, sing-along-possibly-jumping-around-my-room tune after the other. The aforementioned album title and track ‘Falling Up the Stairs’ and ‘Famous’ are some of the biggest winners in this regard with their incredibly catchy rhythm, intriguing lyrics and use of kitchen sounds sprinkled throughout. To put it simply, Lime Cordiale just keep getting better and I hope it continues that way. If you’re a fan of fun or jumping around your room to a bit of indie pop, then you’ll probably love this EP.